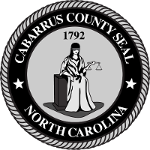 Cabarrus County voters have two options of voting machines when they vote on Election Day at the polls. Those with vision or hearing disabilities can use the AutoMark system to easily cast a ballot. All other voters will use the DS200 optical scan voting system. After you register, a poll worker will give you a paper ballot. Mark your selections on the paper ballot with the pen provided to you. Mark a selection for every contest by filling in the oval completely beside your selection of the candidate name or issue. You must fill in the oval completely and stay within the lines. Only select the number of choices allowed for each contest. To write in a candidate, fill in the oval beside "write in" and fill in the name of your choice. 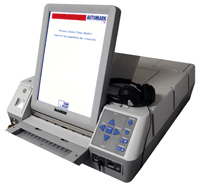 The AutoMark Voter Assist Terminal allows voters with disabilities and other special needs to mark a ballot privately. After you register, a poll worker will give you a paper ballot. Insert the ballot into the voting machine. An instruction screen will appear. Review the simple instructions and then press the flashing "next" button. If changes are required, see a poll worker for assistance.